IN THE Northern Ireland lexicon the word collusion is synonymous with the name of murdered Belfast solicitor Pat Finucane. His killing in front of his wife and children in February 1989 has led his family on a long 22-year journey seeking the truth of British State collusion in his death. Bookmakers would have stopped taking bets on whether there would be a public inquiry into Pat Finucane’s death. But the bookmakers sometimes get it wrong. At virtually every step along the route followed by the Finucane family since 1989, the indications were pointing strongly to a public inquiry – the only uncertainty appeared to be what form the public inquiry would take. 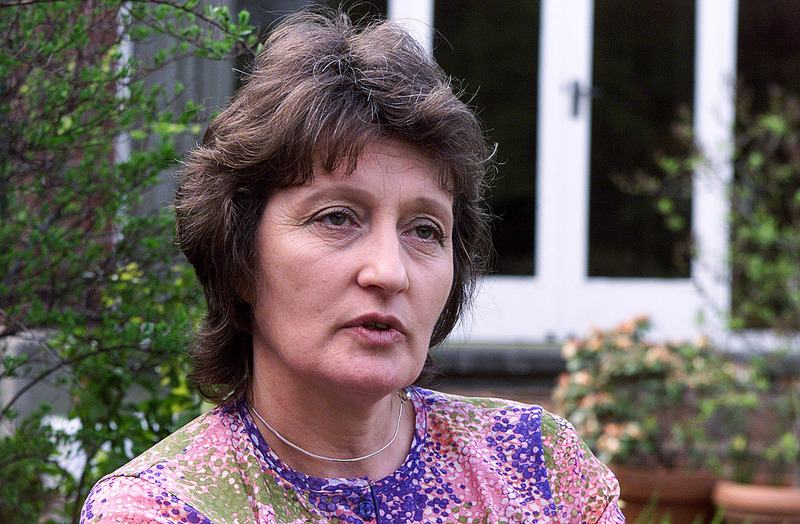 The Finucane family held strong together – suspicious of the British Government and seeking an independent inquiry. They got international support from lawyers and governments. The demand for an independent public inquiry has never waned. The first official vindication for the family’s firmly held belief that there was security force collusion in Pat Finucane’s murder came from an English police officer appointed to examine allegations of collusion in the murder by the loyalist killer gang the UFF of Loughlin Maginn – a 28-year-old Catholic shot dead in August 1989. Sir John Stevens arrived in Northern Ireland a month after the Maginn killing and seven months after Pat Finucane’s murder to investigate security force collusion with Loyalist paramilitaries. It was the first of three inquiries Stevens conducted here spanning 15 years. Stevens quickly switched his focus on to UDA intelligence officer Brian Nelson who was a British Army agent. Nelson, it transpired, had given a warning about the pending attack on Pat Finucane. Nelson was jailed for 10 years on charges of conspiracy to murder. By the time John Stevens returned for his third and final inquiry concluded in 2003 that there was no doubt that members of the security forces colluded with the loyalist killers of Pat Finucane. It had taken Stevens 14 years to be able to come to this conclusion. by November 2001 the case against Stobie collapsed. Stobie had little time to enjoy his freedom. He was shot dead within a month. But there’s little doubt that Stobie’s contribution to the issue of State collusion in the murder of Pat Finucane was an important factor in helping Sir John arrive at the conclusion that there was collusion involving members of the security forces. The Finucane family called for a full and independent public inquiry. A year later there was even more evidence of collusion in the Finucane murder. This time it came from retired Canadian Judge Peter Cory who stated in his damning report that there was enough evidence of collusion to warrant a public inquiry. Cory’s finding should have triggered a full independent public inquiry. After all, that’s what the British Government agreed to when it signed an internationally binding agreement with the Irish government at Weston Park in Staffordshire in 2001. The agreement on the Finucane murder was that if Judge Cory found evidence of collusion the British would would hold a public inquiry. But it didn’t. In fact, what happened was that the British moved quickly to get a new law passed in Westminster giving ministers the power to block evidence. So by the time Secretary of State Paul Murphy got around to offering to hold an inquiry under the new Inquiries Act 2005, the Finucane family could see the shortcomings and were in no mood to accept this offer. However, the Cory report instigated five other inquiries – including investigations into the murders of solicitor Rosemary Nelson, Loyalist Volunteer Force leader Billy Wright and Robert Hamill. Judge Cory accused the British government of `moving the goalposts’ following its decision to introduce new legislation which would allow it to withhold evidence from an inquiry into Pat Finucane’s murder. Judge Cory said he did not know what the national security interest was in limiting an inquiry into the solicitor’s murder. “It’s like playing hockey and instead of six to each team you have one team with eight and one with four, “ he said. “See how you do for 10 minutes and then we’re going to change. Blood Sunday Inquiry chairman Lord Saville was also highly critical of the legislation to block a full inquiry into the solicitor’s murder. “As a Judge, I must tell you that I would not be prepared to be appointed as a member of an inquiry that was subject to a provision of this kind." During 13 years of Labour rule there was little to encourage the Finucane family. Prime Minister Tony Blair supported the changes in the Inquiries Act 2005 although he took time out to reassure the family. “Trust me,” he told them – promising that everything would be all right. But it wasn’t all right. And it wasn’t all right with the changing of the guard when David Cameron and Nick Clegg decided to share power although to hear the shadow Northern Ireland secretary Shaun Woodward at his party’s conference a few weeks ago the Finucane family could see once again the role of party politics. Mr Woodward told the conference that Tony Blair had promised the Finucanes a public inquiry and he went further when he claimed that a year ago he asked Owen Paterson, current secretary of state for Northern Ireland, to honour Mr Blair’s commitment. But Mr Paterson is not popular with Pat Finucane’s widow Geraldine. He has been threatening to make a decision about what type of public inquiry the government is prepared to support since November last year. That was when he met the Finucane family. It was made clear by the Northern Ireland secretary that he had to consider a number of issues – including potential costs. It’s clear the British have no heart or budget to meet the kind of costs they paid for the Saville inquiry into Bloody Sunday – a 12-year inquiry that costs nearly £200m. Another issue, according to the secretary of state, is whether or not a public inquiry was in the public interest. It’s clear from the decision passed on to the Finucane family yesterday in London that Mr Paterson and the British government clearly think it is not in the public interest. However, the Finucane’s and lawyers all across the world will take a different spin on the decision to only conduct a review…that a full judicial public inquiry is not in the British government’s interests. The outcome of yesterday’s discomfort at Number 10 Downing Street is that the murder of Pat Finucane remains an unwelcome ghost in the corridors of British power.